Mobile Phones at Work- Distraction or Tool? With the average Brit now checking their phone every 6 and a half minutes, it’s clear why mobile phone usage at work is a concern for many employers. 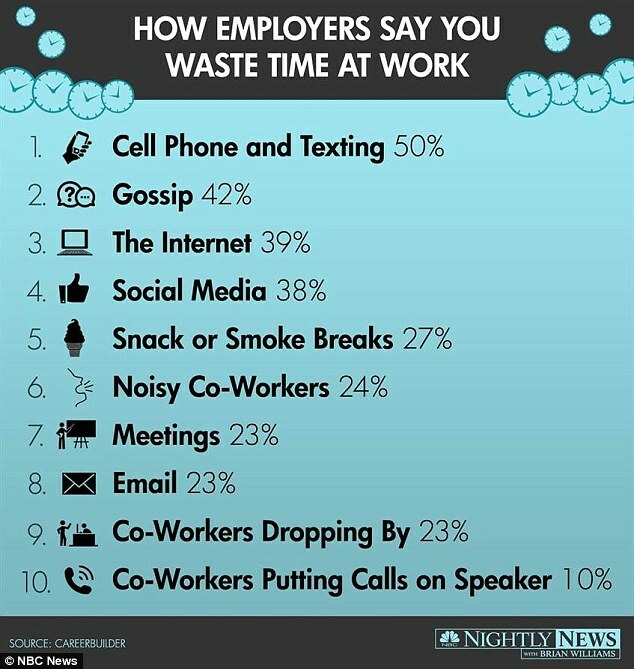 In fact, mobile phone usage has been named by employers as the number one way they believe employees waste time at work. But are mobile phones really that much of a hindrance in the office, or can they be a valuable work tool, if used in the right way? Working out how to limit the time spent by employees on their mobile phones can cause massive stress to employers. Many employers have gone to the trouble of creating elaborate policies in order to minimise the time employees spend distracted by texting or browsing the internet on their mobile devices. It has been a topic of discussion among managers more and more in recent years, with some managers believing that phones should be switched off or even removed completely throughout the work day. The problem with this approach is that it can feel belittling for employees to have the control over their own time management removed; or even have their possessions taken away from them, like naughty children! This feeling could lead to a resentment build up between employees and managers. Perhaps a bigger problem with micro-managing mobile use is that, with the creation of many work-related apps and the integration of personal and professional social media, many people are finding their mobile phones becoming a part of their daily work process. Mobiles have by no means overtaken office landlines as the best way of communicating with customers, but they have carved out an entirely different space in the workplace. For example, it would be a surprise if any PR team went through the day without having the Gorkana app open on their mobiles, ready to find journalist details at the touch of a button. Similarly, the vast amount of apps able to link to a company’s CRM software means that checking your phone in a meeting may no longer be a sign of rudeness, but of preparation or engagement with the topic at hand. It has also been suggested multiple times recently that our obsession with technology, specifically using multiple devices at once, is damaging our productivity. However, our ability to access information quickly from our smartphones, usually with just one hand, whilst completing another task could be seen as a valuable asset in a fast paced office environment. Mobile apps can give you the answers to client phone queries in seconds, without them suffering through a long awkward pause whilst you tap away on your keyboard looking for the same answer! Obviously, there will always be those employees who take a mile when you give an inch in regards to mobile usage at work. However, at Approved Index we have found that a system of mutual trust and respect works better than any official policy. Employees are allowed to have their phones on their desk and they tend to check texts/social media sporadically throughout the day. We trust that our team will not overuse their phones for personal reasons and in return they respect us enough to keep personal phone usage to a minimum. This approach to mobile phone use has given our employees the confidence to suggest and download relevant apps, as well as fully integrating their social and professional media on their devices. Many of our team now consider their laptops, desk phones and mobile phones as equally important tools in their work arsenal. With increasing number of businesses switch to cloud phone systems, users are now able to download mobile apps to their personal phones which enable them to take their business phone system with them wherever they are! There is no denying that technology is becoming more and more a part of our everyday lives. It follows suit that it will become an increasingly important part of our work lives too. It might therefore be time for many managers to embrace this aspect of modern employment and revise those old ‘no mobile phones at work’ policies for the future. Do you use your personal mobile device at work? Does your employer enforce any policies around mobile use in the office?